I was recently conversing with a client who was unable to purchase a complete set of books on Amazon.com. He was extremely frustrated that the website would only suggest one book at a time, when he knew that they should be sold as a set. He eventually abandoned his session on Amazon and purchased the set elsewhere online. The injection of a live chat system may have saved the sale in this example; it may also have prevented my client from sharing this negative experience with me. Kuno Creative published an entire article dedicated to when angry online shoppers turn to social media to vent their brand-frustrations. To e-tailers selling is becoming less about driving lots of traffic to your website or online store and more about helping prospects buy. Many websites suffer from the “high-traffic, low-conversion conundrum” according to Fast Pivot , who gives the example of woman running a Yahoo! Store. She had only had two sales after ten thousand website visits. Low conversion in online commerce is compounded by market saturation in a sector. Consider just how many e-commerce sites are selling shoes to women. The road to profitability for online or e-commerce businesses continues to become longer and longer. This article makes a case for implementing live chat systems as a pathway to an increased amount of onsite conversions. Live chat support is a powerful tool to initiate online communication between a brand and a consumer in real time or similarly during business to business communications online. Once the chat session has begun, a visitor can interact with a customer service representative or salesperson via text messages on the screen. The purpose is to have the brand or business address any questions or concerns of the consumer. Live chat support systems do an excellent job of allowing you to respond to customer queries in real-time while addressing potential customer concerns before they are spread all over the internet. The Amazon example is tame when compared to the unforgiving customer criticism that we’re all familiar with. According to the International Customer Management Institute, live chat systems save the customer time and the company money. The cost savings come from many angles. First, the amount of customer enquiries directed at a call center are reduced with live chat systems. If these systems are managed correctly they could effectively replace an entire call center which equates to huge cost savings. With more money in your company’s pockets you’ll have a larger budget to invest in really understanding your customers. LIVE CHAT LETS YOU LISTEN TO CUSTOMERS – In order to sell more of your products or services, it’s crucial to listen to your customers. A live chat support system makes understanding customers’ concerns and needs easier because you’ll have a written log of what is causing customer headaches that can be mined for data. The more you know about your customers, the better you’ll be able to offer them solutions. LIVE CHAT INCREASES CONVERSIONS – By this stage you’ve saved money and you increased your understanding of what your customers want. It’s time to start converting these customers. According to an article on Sitepoint, the top ten reasons buyers abandon their online shopping sessions are often related to confusion and complications at checkout. Confused customers may have a question that they want answered in real time. Live chat support fulfills this need of addressing questions or concerns during the sales process, thereby increasing conversions or sales. A recent Website Magazine article discussed this benefit, saying “Consumers are quite familiar with live chat software (just under two-thirds of U.S. shoppers have used live chat — a 15 percent rise from 2009). What’s more, those that use the Web-based functionality — be it on a retail or service site — are more likely to buy and less likely to abandon their sessions. It’s also a whole heckuva lot cheaper than running a call center.” Case and point for saving money and increasing conversions. Live chat systems aren’t perfect but they’re effective. With all the stats listed above, a case for live chat can clearly be made, however nothing can replace a true one-to-one human experience. One of the downsides to any text message experience, whether in live chat or using a mobile device, is the possibility of miscommunication. Without tone of voice or body language, live chat may have difficulty addressing a person’s concern if the text communication isn’t completely clear. With the recent increase in live chat praise, it isn’t surprising that companies are already improving the ways that these systems operate to help fill the communication gap. This company has recently created an engine to detect onsite user intent. In the case of live chat, this engine can be used to identify the right moment to inject live chat support. Live chat systems will never replace a live customer experience but they can be enhanced to become more effective, more intelligent and more efficient. So, when is your business adopting a live support system? Please feel free to leave a comment below. 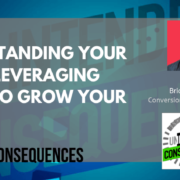 https://conversionsciences.com/wp-content/uploads/2018/11/conversion-sciences-conversion-optimization-agency.png 0 0 Jenix Hastings https://conversionsciences.com/wp-content/uploads/2018/11/conversion-sciences-conversion-optimization-agency.png Jenix Hastings2014-04-24 05:14:172014-04-24 05:14:17Can Live Chat Increase Conversions? Live chat software really help to increase your website conversion rates because here you can directly interact with your visitor and able to know the requirement of your customer. It will also help you to improve quality of your product and services. Currently I am using eAssistance Pro live chat software on my website and it help me to modify my website according to customer needs. Great feedback Louis! I’m going to look into eAssistance Pro and see what it has to offer. Hi Zoey, thanks for your comment! Inside looks like a great product. I was pleased to see that it plugs into Magento and surely a lot of e-com store owners will be too! I believe acting in real-time is what will count for conversions from here on. “In order to sell more of your products or services, it’s crucial to listen to your customers” – I couldn’t agree more! I have been using Live Chat on my site for 3 months now, and my personal experience is very positive. I can already perceive higher levels of satisfaction among my customer! In case you are interested, the solution I use is Visitlead.com. I really like the fact that it’s not only limited to chat, but also has some interesting extra features that I have been using a lot, for example the Co-Browsing. Our experience from an ecommerce builders perspective is that live help is a bandwidth heavy addon to any website. The Saas livehelp products take the processing heat off your own webserver for a fee. Running an opensource livehelp does increase bandwidth usage on your web hosting but costs nothing in fees. That said any client we have installed this for has a positive experience. In fact one client after we installed was so busy on live chat they had to employ an extra staff member to look after it and run an after hours roster. Sean, that’s a great practical addition to my article and something I hadn’t even thought of (increase in bandwidth usage). Thanks for sharing! Also glad that your clients are having positive results from live chat! I completely agree. Earlier this week I was trying to reach my cable provider and actually had a more positive experience with their customer service online using the live chat window than over the phone. Do you have any additional examples on how live chat can save businesses money? Live chat software is not only a good idea it is a necessity, as we have moved into a multichannel era, website visitors are expecting an instant response to their queries; a live chat system allows visitors to have their questions answered in real time and a lot quicker than email or phone. Here at Click4Assistance we have seen all types and sizes of organisations have fantastic success whether they are an advisory service and have reduced the number of emails and phone calls they receive or a retail store that has had a massive increase in conversions. I have tested multiple vendors on multiple large client scenarios only to find chat negatively effects conversion rates. It is disruptive to he journey and adds little value. I know this is a controversial statement. But I would love someone to contact me if he have put chat in an on vs Off A/B test and seen conversion rate increase in the on variant. I have seen chat vendors claim massive uplifts in conversion based on linear attribution of customers that they instigate chat on vs all visitors, but unfortunately this is bias as the chat systems usually select a group of users who inherently have a greater conversion rate than all visitors. Please feel free to contact me if you have real evidence that chat works for conversion rate optimization. I want to be clear, that I see the value in chat, but the impact on conversion needs to be taken into consideration for sales funnels, and this is typically ignored. Oliver, we are always interested learning more from actual tests. Shoot me an email at TheLab@conversionsciences.com. Awesome article, Jenix! As a member of the Pure Chat team, we obviously fully support live chat for websites. One of our big initiatives right now is to better understand our users and find out how (and also if) live chat has helped improve their business. We have found a lot on this journey and wanted to share their stories (https://www.purechat.com/customer-success ). We cater to small businesses and their biggest takeaway from live chat is that it gives their customers another outlet to reach them. They are more productive with taking chats as opposed to phone support or through emails. Also, by giving them the ability to stay connected with their customers/users outside of the office while on the go, they can assist more users, capture more leads and close more sales at anytime of the day. Jenix. Thank you for this article. I’d like to advise one useful livechat http://www.chat4.website Try this one, I’m interested in your opinion. According to me live Chat is an excellent helpdesk tool for customers -that the quality of chat interactions You are having with your customers is high.It is interesting to know that I have actually seen the live chat reduce the conversion rates of some websites. Great point. “According to me,” you should never assume live chat will help. It is a significant investment and you should test it before rolling it out. I completely agree that live chat can increase conversions. But it is important to use this tool not just for interacting or chatting with customers. When you view the actual chat box as a potential way to reach out to customers via a text-based message, it becomes easy to start the conversion process early on. Also, the ‘right’ content will make your customers feel welcomed and have good thoughts about your business right from the start.